Any student who wants to pursue their further studies from the United States of America has to give the SAT test for an increased chance of acceptance. 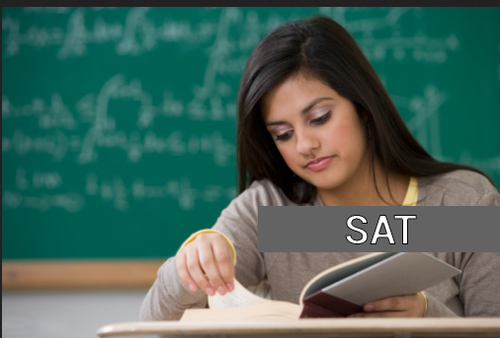 Other than the ACT test, the SAT test has also become quite widely accepted as an undergraduate entrance test. SAT is not an easy test, so the students must be prepared with everything. They need to be familiar with the exam pattern and also have all the necessary preparation tips handy. The SAT test checks how prepared the student is for college and whether he or she will be able to fit in with the other students or not. Majority of the university and colleges in USA and other foreign countries have accepted the SAT test. Students who haven’t given the SAT test before have many queries in their mind regarding it. They need to do a thorough research on it before starting to prepare for it. With good preparation tips and a lot of hard work they will be able to score well in the test. This part contains an essay and multiple choice questions. The candidate has to write an essay on a relevant topic and choose the correct answers from the options given in the multiple choice questions for sentence corrections. Your grammar needs to be on point in this section. In the multiple choice questions you have to correct the incorrect questions given. You will be able to do that accurately if your grammar is strong. Practising grammar on a regular basis will help you get better at it. Another thing that you should keep a habit of is reading. You might be asked to write an essay on diverse topics, so you should be well known with the on-goings of the world so that you can write it in the most effective way possible. You should also practise writing sample essays. This way you will get a hang of writing it in a creative and fast way. You can refer the topics which are most likely to come. You should be prepared with all the points and arguments and be able to present them in a very efficient way. In the critical reasoning part you will have to complete sentences and read comprehension. You vocabulary will e tested here. For this part your vocabulary needs to be vast. You should also be able to use the words in appropriate places. Practising sample papers will help you get better acquainted with this part. You should not leave this part for the last moment. You will learn about them in good SAT coaching. Here your mathematical skills will be tested. Practice is the only key to succeeding in this part. The more you practise the better you will be able to perform. All the mathematical concepts should be clear in your head. If you have even the slightest doubt then you are bound to make a mistake. Memorise all the mathematical rules correctly and apply them appropriately when solving the questions.